Samsung’s new ‘it’ smartphone the Galaxy Note 9 might be offer at ‘lower than retail’ prices on eBay, but it is far from being called a deal steal for a flagship smartphone. However, the beauty of this industry is that when a new champion comes forth, the premium offering announced the year before is offered at tremendous savings, and with the Galaxy Note 8, that is exactly what is happening. This device fits the description of an affordable high-end smartphone, but since it is being sold as a refurbished unit, the trusted eBay seller MyWiT is at liberty of selling it a price of $429.99. However, in the description, this model is available in a limited number of units and is near perfect condition with minimal cosmetic wear, passing an industry leading 65-point inspection at the Samsung-approved repaired center just to prove that it is 100 percent functional. 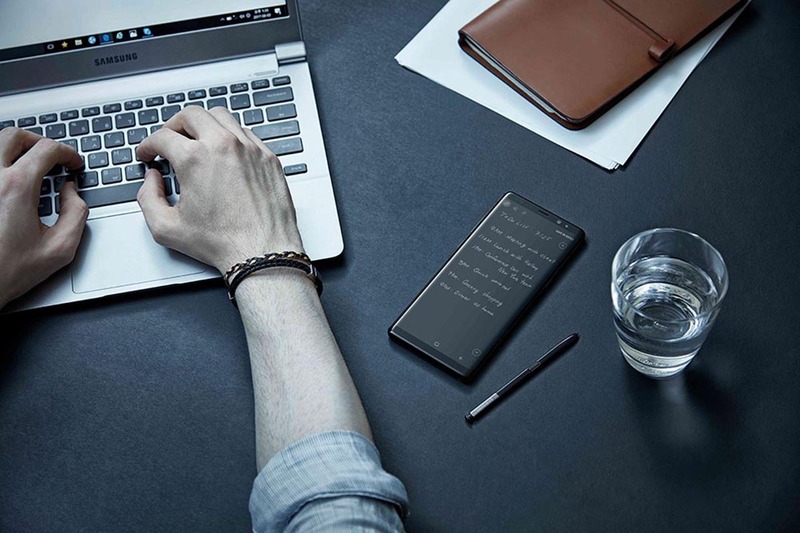 The refurbished Note 8 is priced at a killer $429.99 and is available in Midnight Black only being Verizon-locked and before you ask, it is not covered under Samsung’s standard warranty program. These used, but professionally restored smartphones will be shipped without headphones or without their original packaging but still being available and sold at just $430 is certainly a bargain. To remind you, Samsung continues to charge around $699 for an unlocked Galaxy Note 8, so getting one for less than $500 is a terrific deal. The previous-generation flagship is armed with a Snapdragon 835 chipset, along with 6GB of RAM and 64GB of internal storage, meaning the version that is on sale, is the base variant. The internal memory can also be expanded via microSD card slot, and there are dual 12MP rear-facing cameras, plus a decent 3,300mAh battery, IP68 water, and dust-resistance and the usual S Pen accessory that comes with the phablet. We also want you to check out the links given at the bottom so that you are able to shop with greater ease knowing what a refurbished phone is and how they are sold. What Is a Refurbished Smartphone and Why Should You Buy One?